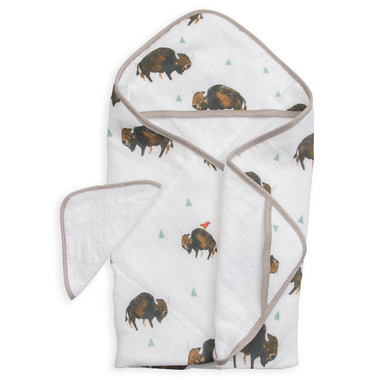 Little Unicorn Cotton Hooded Towel & Wash Cloth Set is the perfect baby shower gift. Hooded Towel is made from printed cotton muslin on one side and ultrasoft terry cloth on the other. A cozy hood and pockets for little hands. Product dimensions: towel 30" X 30"; washcloth; 8" X 8"